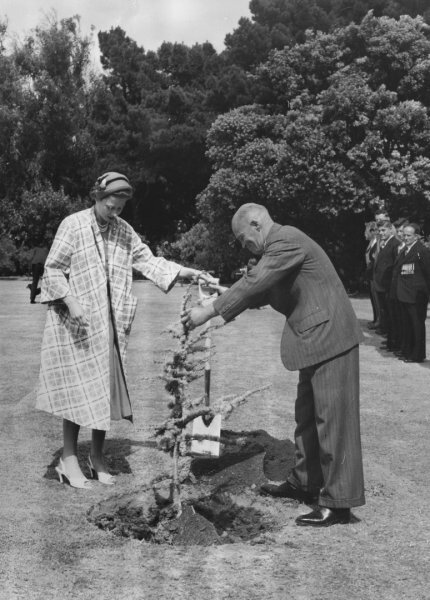 One of two trees planted on the 15th of January, 1954 to celebrate the Royal Visit. 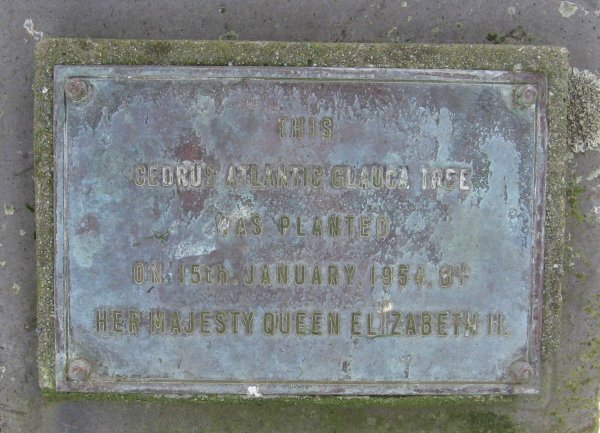 This tree was planted by Her Majesty Queen Elizabeth II. 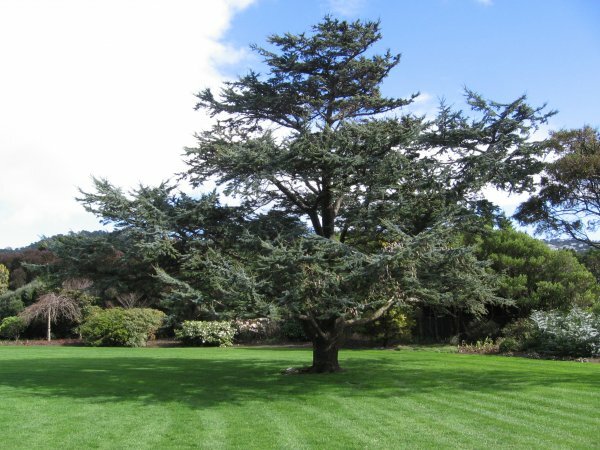 The second tree, shown here WTR/1017, was planted by Prince Philip (His Royal Highness the Duke of Edinburgh). On the front lawn of Government House.